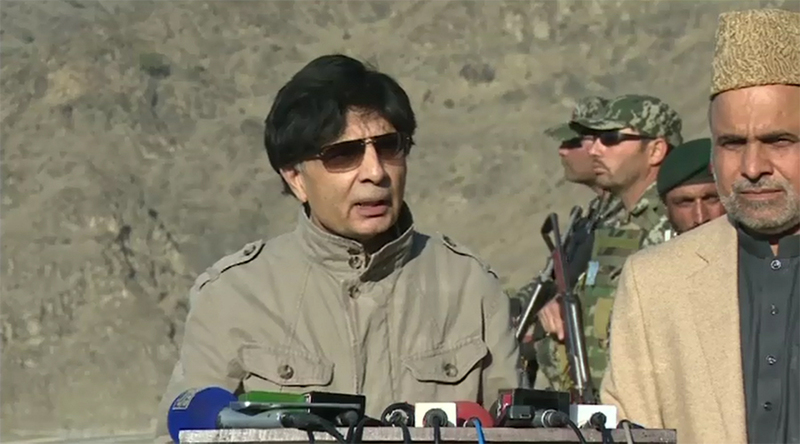 LANDI KOTAL (92 News) – Interior Minister Ch Nisar has said that there is no network of terrorism in Pakistan. Talking to the media in Landi Kotal on Wednesday, he said that the terrorists came from across the border. “Afghanistan should not be duped by someone else and not sit in the house of the enemy,” he declared. The interior minister said that good deeds of former COAS General Raheel Sharif will be remembered forever.